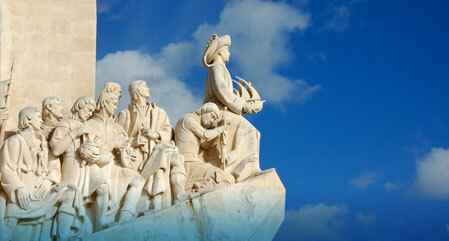 September is a lovely time to visit Lisbon as the days are still warm but not too hot to explore the city streets. Any time between April and October should see warm weather with little rain and the winter months remain fairly mild too. Lisbon is just 11km from the airport and less than 2.5 hours flying time from London, making it ideal for a weekend city break. This small city leads you from elegant, leafy plazas to riverside cafes; mosaic-tiled squares lined with stunning architecture to a maze of hillside medieval lanes oozing charm and character at every turn. Jump on the vintage tram, take a Tagus River Cruise, walk or hire a fun Lisbon GoCar and explore because, Lisbon will retain your interest whether that lies in history, food and wine, bar hopping and cafe culture, shopping or, parks and gardens. Ibiza enjoys long days of sunshine all year round and is warmest from April to October. September in Ibiza is hot and sunny by day and lively by night as, it is the month when the famous nightclubs hold their closing parties. 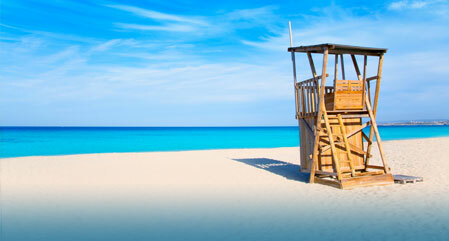 We offer Ibiza holidays for all budgets and to a wide variety of resorts all around the island. For clubbing you might like to stay in San Antonio, Ibiza Town, Playa d'en Bossa or Figueretas. Cala Vadella, Santa Eulalia, Es Cana and Cala Llonga are popular for family holidays and all have lovely beaches. For a peaceful holiday, the resorts of Portinatx, Cala San Vincente and Puerto San Miguel are surrounded by the scenic countryside, sandy bays and sheltered coves of the north-east coast. Or if you really want to get away from it all and enjoy a holiday of healthy living, walking, cycling, hiking and swimming in clear blue waters, surrounded by unspoiled landscapes and miles of white sand beaches, then maybe the neighbouring island of Formentera is for you. Croatia enjoys a long and dry summer from April to October and in September, the Dalmatian Coast is basked in hot sunshine with temperatures in the mid to high twenties with low humidity. 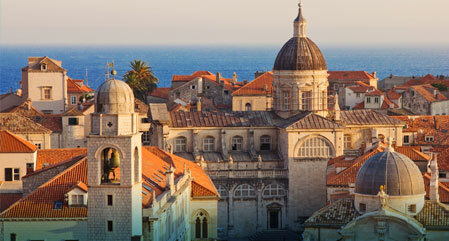 From Split to Dubrovnik the Dalmatian Coast boasts some stunning scenery and fertile countryside, beautiful medieval towns and villages, unspoiled beaches and crystalline waters and, just off the coast lie hundred of islands. Choose to stay in the walled cities of Split or Dubrovnik, the charming towns of Orebic or Cavtat, or on one of the beautiful islands, such as Korcula Island or Hvar Island. In Croatia you can have the holiday of your choice; from relaxing on beaches to visiting historic landmarks, traditional fishing communities and countryside villages; exploring beautiful national parks or sailing around the islands. 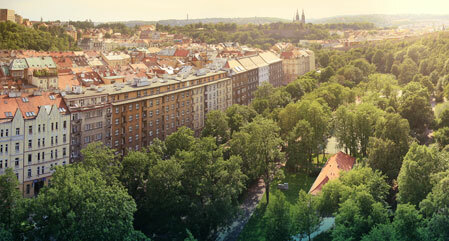 The Czech Republic has warm summers (although this is when it tends to rain a little more) and cold, snowy winters. Prague in September is still fairly warm with a little less rain and the days are still long enough to pack in plenty of sight-seeing. At just 8km from the airport, and less than 2 hours flying time from London, Prague is a good choice for a weekend city break. We offer a range of hotels in Prague, throughout the city and along the banks of the Vlatava River, where you will be surrounded by city parks and architecture dating back to the 11th century. Whilst Prague has endless monuments and treasures including the magnificent Prague Castle, the Old Royal Palace, Saint Vitus Cathedral, Old Town Square and the lovely Charles Bridge, it does have a cosmopolitan side too. Browse the boutiques on Parizska, dine and shop along Wenceslas Square, sample the nation's beer in the many pubs and beer gardens, discover a vibrant clubbing scene, go to the Opera and take a relaxing river cruise. 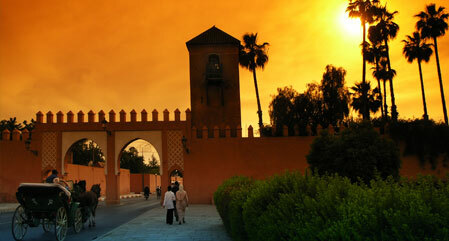 Morocco is hot all year round and even more so in the inland city of Marrakech. During the summer the heat is often in the high 30s but in September, Marrakech cools down to the mid to high twenties making it ideal for relaxing by the pool and far more comfortable for exploring. We offer a wide range of hotels in Marrakech, modern and traditional, inside and outside of the Medina. For a luxurious stay just outside of the city, choose one of the prestigious golf hotels, boutique hotels or spa resorts in Palm Groves. Why not stay in a traditional Riad hotel in the heart of the Medina and really experience the colours, the culture and the bustle of Marrakech and complete your holiday in total relaxation in the lush and beautiful surroundings of Palm Groves, which is close enough to pop back into the city if you wish. Things to see and do include the impressive Koutoubia Mosque, centuries old palaces and the Sadiaan Tombs; explore the souks, spend some time in D'Jemaa el Fna Square and take lunch in the Majorelle Garden. 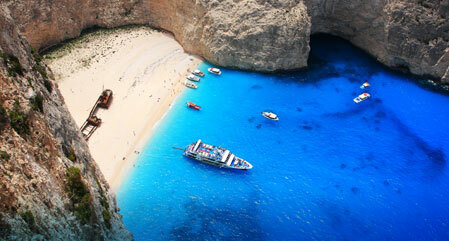 Dry from May to September with warm weather often lasting into November, the Greek Island of Zante in September enjoys plenty of late summer sun with temperatures in the mid to high twenties. If you are seeking the lively bars and nightclubs, Laganas is the resort for you or, to a slightly lesser extent, Argassis and Kalamaki. For a quieter family holiday, Alykanas and Tsilivi are particularly popular with British holidaymakers and have long beaches. To appreciate the real natural beauty of Zante, Vassilikos is surrounded by small traditional villages and several beautiful beaches. Whilst relatively quiet, Vassilikos has plenty of tavernas and restaurants serving authentic Greek food, a good offering of watersports and is in easy reach of Zante Town if you wish to explore or indeed, Laganas if you want to sample the nightlife. 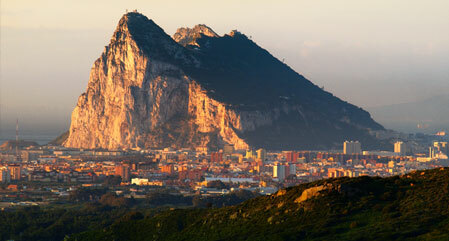 The weather is warm and sunny all year round in Gibraltar, with very little rainfall. Gibraltar in September should be dry and a little more comfortable than the peak summer temperatures which are around 30 degrees with fairly high humidity. Gibraltar might be very small but there are plenty of things to see and do and, you can even take a day trips to mainland Spain and Morocco. During the day you can relax on the beach, go fishing, reef diving or wreck diving; enjoy duty free shopping on Main Street, stroll around one of the marinas or, visit some of the famous attractions. Take the cable car to the top of the Rock, see the Barbary Apes, relax in the Alameda Gardens and tour the Great Seige Tunnels and St Michaels Cave. In the evenings you can visit the casino, enjoy the nightlife in Casemates Square, or maybe just a quiet meal at a waterfront restaurant. For late summer sun and immediate access to excellent indoor leisure facilities, entertainment and restaurants at the first sign of any rain, a Mediterranean Cruise is ideal. Explore Rome or the Italian Riviera, some of the prettiest and warmest Greek islands, Malta and the beautiful coasts of Turkey and Croatia. Or maybe the cities, islands, beaches and countryside of the western Mediterranean appeals to you, such as the French Riviera, Sardinia and Corsica, Barcelona, Gibraltar and Portugal. 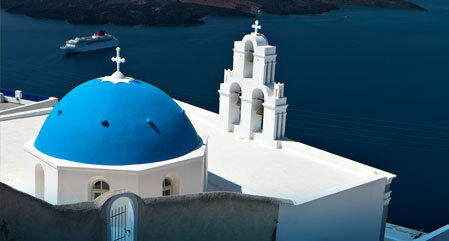 There are plenty of options, in terms of both cruise lines and itineraries when it comes to choosing a Mediterranean Cruise in September and many start or conclude at a UK port or, close to an historic European city, such as Barcelona, Rome, Athens or Venice.